A vision of how the clubhouse at Miralon in Palm Springs will look. The design is by Robert Hidey Architects of Irvine. 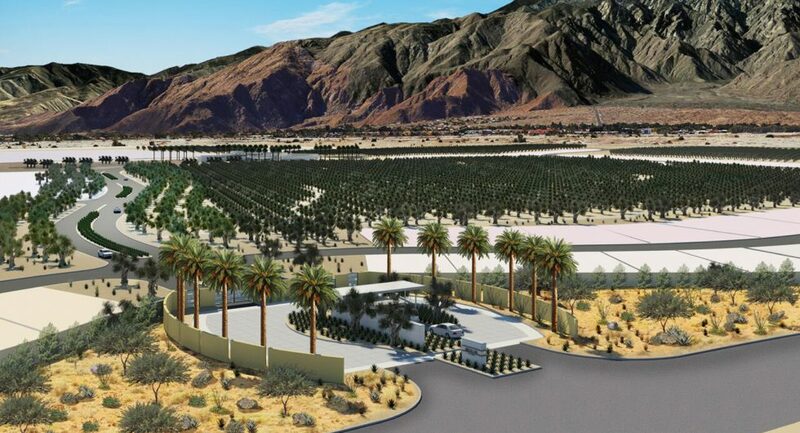 The entrance to the Miralon community, an agri-hood – or agricultural neighborhood – being developed in Palm Springs. When completed it is expected to have 1,150 homes, dozens of olive groves and other farm-to-table features.